May Years to His Holiness Kirill, on the anniversary of his enthronement as Patriarch of Moscow and All Russia. You can read the life of the saint by clicking on the highlighted name. 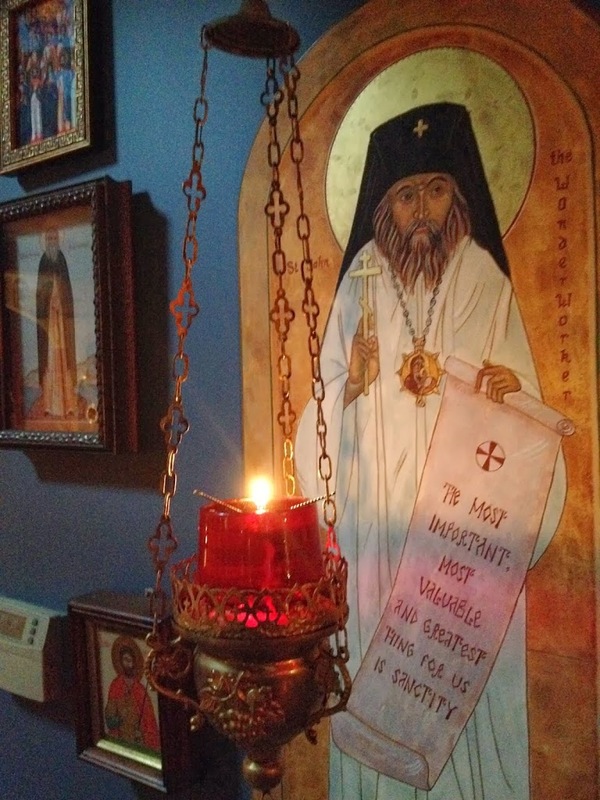 THANKS to all of you who have been able to contribute towards the support of the monastery. These difficult times of economic hardship have impacted the monastery, and those of you who have been able to donate, have been our lifeline. May God bless you for your generosity, and kindness. 14Now we exhort you, brethren, warn those who are unruly, comfort the fainthearted, uphold the weak, be patient with all. 15See that no one renders evil for evil to anyone, but always pursue what is good both for yourselves and for all. 16Rejoice always, 17pray without ceasing, 18in everything give thanks; for this is the will of God in Christ Jesus for you. 19Do not quench the Spirit. 20Do not despise prophecies. 21Test all things; hold fast what is good. 22Abstain from every form of evil. 23Now may the God of peace Himself sanctify you completely; and may your whole spirit, soul, and body be preserved blameless at the coming of our Lord Jesus Christ.